KBR 모바일 사이트, Will biotech stocks rebound on listings in H2? Will biotech stocks rebound on listings in H2? The biotech industry is paying attention to whether upcoming initial public offerings (IPO) of biotech companies will boost the sagging investment sentiment in the second half. Biopharmaceutical shares have been falling amid controversy over Samsung BioLogics’ alleged window dressing. Companies such as Bio Solution, OliX Pharmaceuticals, CytoGen, NovMetaPharma, Jeonjin Bio, ToolGen, and ICure Pharm are preparing to go public on KOSDAQ. In 2016, SillaJen, Anterogen, and Qurient garnered much investment after IPOs. Last year, Celltrion Healthcare, Kolon TissueGene, and PCL went public as well. Among them, shares of SillaJen and Celltrion Healthcare skyrocketed after IPOs, which helped spread a notion that investment in biotech shares could reap huge profits. However, analysts are repeatedly warning of bubbles in biotech stocks, pointing out Samsung BioLogics’ accounting controversy and lack of evidence to convince commercialization of some investigational biopharmaceutical products. Delayed IPOs of Kainos Medicine and Bridge Bio also cooled down expectations for biotech firms. However, the biotech industry may regain strength as the financial regulator is expected to disclose the results of its inspection on Thursday. Local biotech companies also plan to reveal their study results at the annual meeting of the American Society of Clinical Oncology (ASCO) in Chicago, early in June. 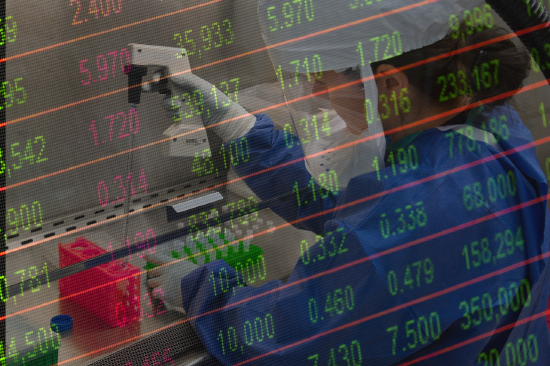 “Although the biotech sector suffered negative issues in the first half this year, the international biotech conference next month will be a starting point to raise anticipation for biotech firms’ listings,” an analyst said.